Do you want to know your spiritual gifting? Or how you are wired for ministry? 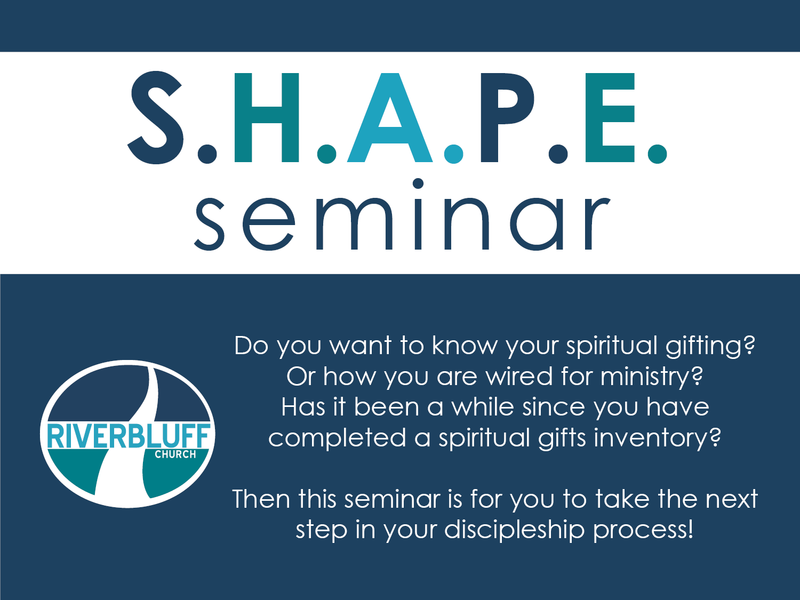 Has it been a while since you have completed a spiritual gifts inventory? Then this S.H.A.P.E. Seminar is for you to take the next step in your discipleship process! Sign up at the Welcome Center on Sunday mornings or fill out the form below. Childcare is available upon request. If you have any questions, contact Vicki Altman at valtman@riverbluff.org or 843.266.6328.